Being your resource for all things BEAUTYful, sometimes I share the BEAUTY with my cat, Miss Bella. She loves to see all the packages I get, and when one is for her I know she is thinking…PURRfect, love it when you get me some goodies too! And with that, I am here to share with you Beauty And The Cat with the Luxury Cat Hammock. This cat hammock by Pet Magasin is the cat's meow! It is a great looking Hammock for your kitty to get her cat naps in! 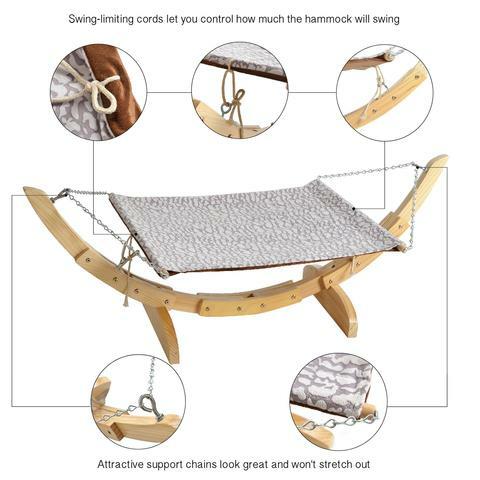 Easy to assemble and made from quality materials of maple hardwood for the frame and the Hammock itself is a neutral color (double sided), so it will blend right in with any home! 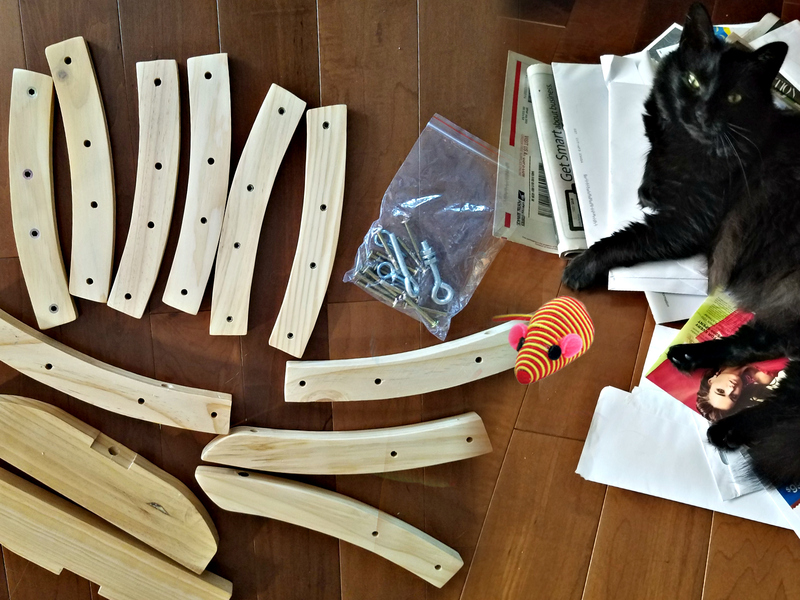 As always, Bella had to be in the midst of everything, so it did take me a bit to put this together as she kept sitting on the pieces. But after about 30 minutes I was able to get this put together. So now for the testing, NOT! What do I mean by that? Well, Bella wasn’t having any of it at first, and this is because I did not pull strings tight enough on the hammock. 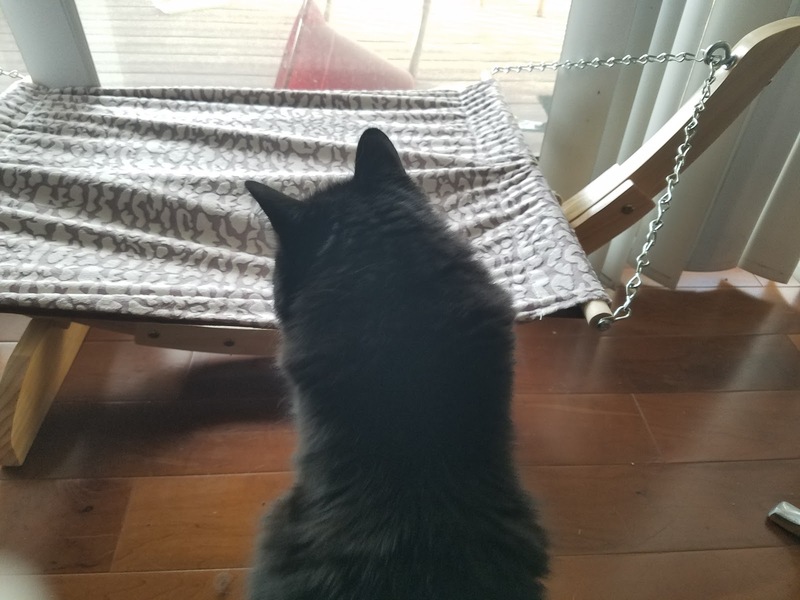 My cat is a typical scardey cat, and the wobbling of the hammock was too much for her. So, I found out I had to make it a bit more taut, which was very easy. All I had to do was to tie the strings much tighter and voila this hammock became the cat's pajamas! Even though I made the hammock sturdy, it still took some time for Bella to stay in the hammock for an extended period. So, I decided the lay some of her favorite toys on it. I also moved her old sitting perch from the window and replaced with the cat hammock by Pet Magasin. Lastly, I decided to incorporate some cuddle time with Bella, she loves to be next to me, but not always on top of me. So just having her relax next to me in the Hammock, while I was working on the computer helped as well. I do plan on taking this hammock to our my vacation home that has a big bay window as Miss Bella will love to lay on it, as the morning sun hits her beautiful black fur! 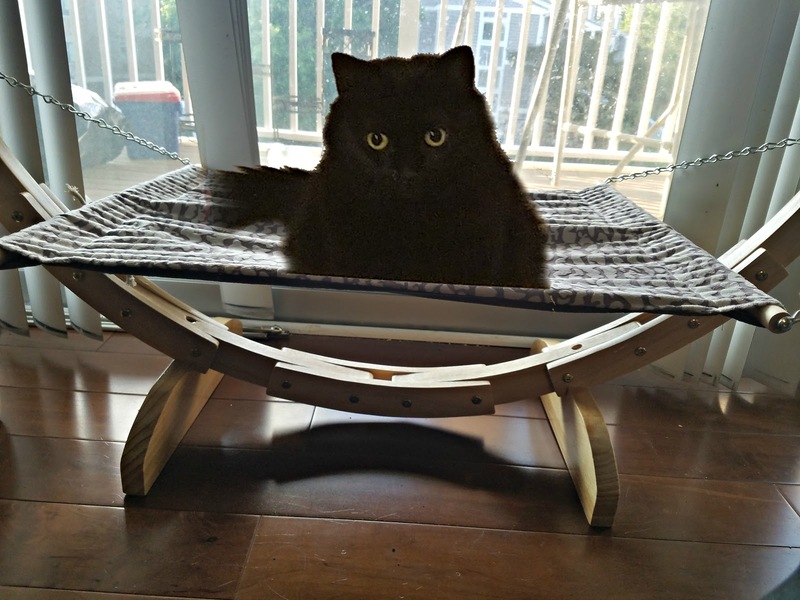 This luxury cat hammock is already a great deal on Amazon and Pet Magasin, but you can also save an additional 30% off that! Just use code: 5F2WSQO4 at checkout. 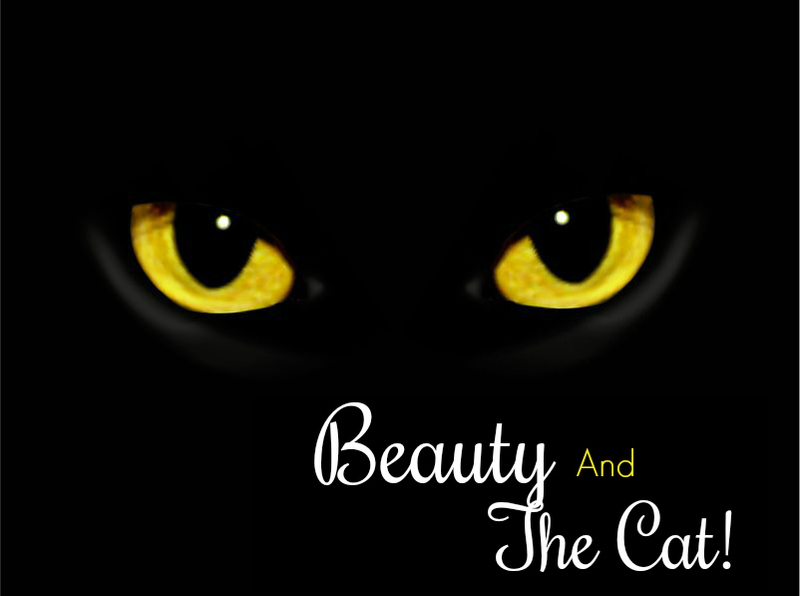 So there you have it, some MEOWtastic times with Beauty And The Cat, until next time!